The 2017 version of the Big League Experience summer camps is underway. 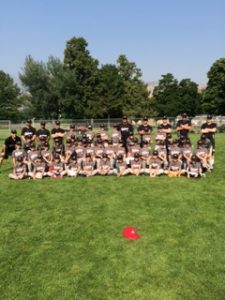 A number of Young keen ballplayers from throughout BC and Alberta have made their way to Oliver to take part in this year’s version of the “Big League Experience” to get better at the game them love. This weeks camp started on the Tuesday, Aug. 1st and will run through the 6th with a full week of activities to give the guys a great baseball experience. Click the following for team list for this week along with a “Day in the life of a camper”. For those that aren’t aware, this is one of the longest residential camps in North America and has been in existence in Oliver since 1960. Three former BLE campers drafted by MLB	Bandito and Young Gun Camps a Success!